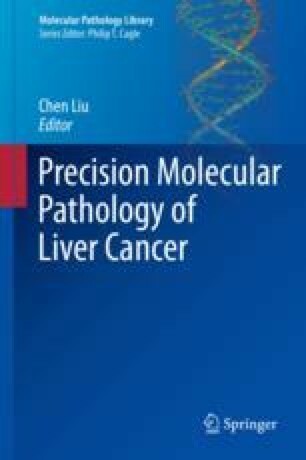 The incidence of hepatocellular carcinoma in increasing globally and malignant liver tumors now represents the second leading cause of cancer-related mortality worldwide [1–3]. In the United States, the incidence of hepatocellular carcinoma has tripled over the past 30 years where it has become the fastest rising cause of cancer-related deaths . With this emergence has come an increased effort, largely within the preceding decade, to better appreciate the molecular pathogenesis of this disease. As with other malignancies that have been examined in this way, the eventual goal of these investigations is to identify potential targets for therapy and to correlate these molecular mechanisms with patient prognosis. Here a summary of many of the molecular mechanisms identified in hepatocellular carcinoma is provided as well as outline of the current attempts at a molecular classification system of these tumors.